Not all teacher planning and instructional design are created equal. Mash the two, and we’re beginning to see the opportunity for some real disparity. 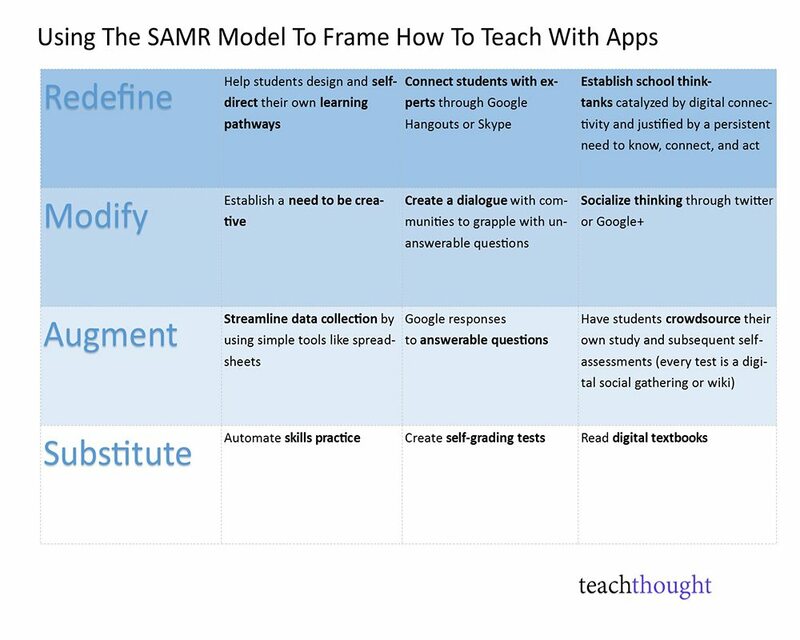 In response, we’ve taken the popular SAMR model and use it as a framework to understand how to better teach with apps. This post started as a look at “app workflow”–the patterns of student and teacher interaction, the movement of learning artifacts, the visibility of quality criteria, assessment results, and so on, but we thought it might be better to start with some concrete examples of the movement from basic technology integration–in this case, apps–to that which redefines the learning process entirely.